The exhibition has been prepared by the National Museum in Wrocław in Książ Castle in Wałbrzych. This is, without a doubt, the most important event in the post-war history of Książ Castle. After several decades, works from the former collection of Hans Heinrich XV von Hochberg, and his wife Princess Daisy, have returned to the castle. In all 38 such works, from the National Museum in Wrocław, have been chosen to grace the castle’s rooms. 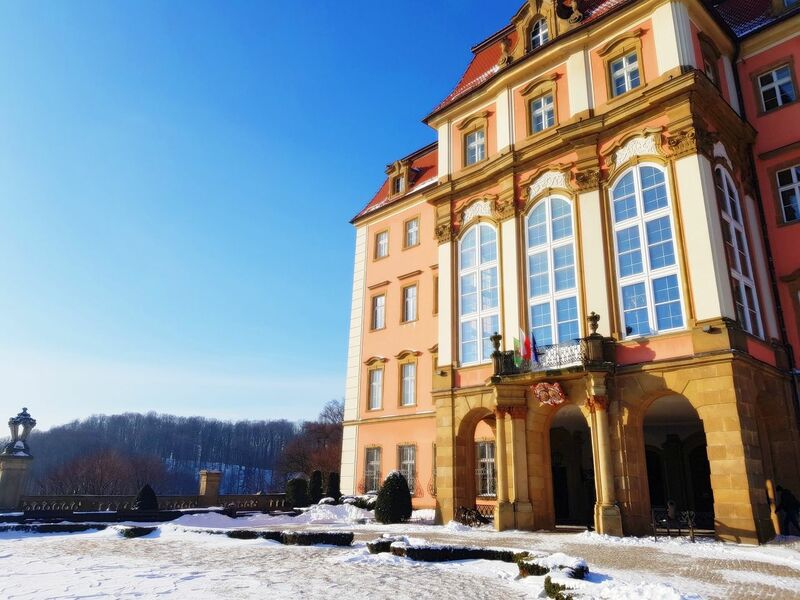 The Metamorphoses of Książ Castle exhibition will consist of three parts,” explains Dr. Beata Lejman, curator of the National Museum in Wrocław, and of this exhibition. The display will begin in what is known as the Exhibition Room, where the featured works include a scene from Ovid’s “Metamorphoses” portraying Pan’s pursuit of the nymph Syrinx; and a series of works of Stephan Kessler, presenting the Biblical story of the Prodigal Son. In the second part of the exhibition, the distinctive rooms on the first floor (on the Baroque visitor route) will feature works that were part of the substantial creative output of artists engaged by Konrad Ernest Maximilian von Hochberg in the eighteenth century. Also on view will be portraits, still life works, mythological presentations, and works of animalistic, allegorical and landscape art. The next part of the exhibition is in the Konrad Hall, where a Hall of Fame has been created. There, it will be possible to view the legendary lords of the Czech Premyslid and Polish Piast dynasties, the founders of Silesian culture. The Hochbergs’ relations with the Austrian Habsburg and Prussian Hohenzollern dynasties will be presented in the light of the myth of empire, important in feudal times, and remaining so until it took on a totalitarian aspect in the twentieth century.